We are famous for our chowders & stews. They are made from scratch with fresh Maine seafood, Maine grown potatoes and cream from our local dairy! Chock full! 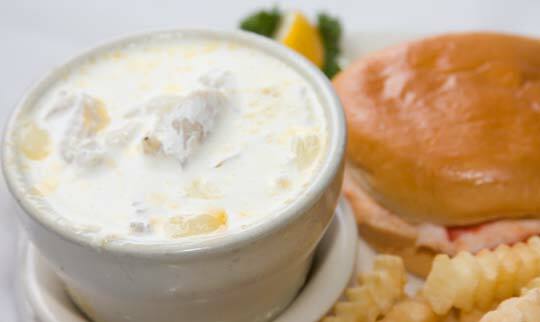 This three generation Vallee family chowder recipe is our most popular Maine made menu item. At the local Chili & Chowder Challenge Event our seafood chowder recieved 1st place awards in multiple years entered. A superb creamy broth loaded with fresh lobster meat.